Southeast Asia’s exposure to increasingly frequent and intense weather-related disasters is a growing concern for agricultural producers of the region. This study reviews policy approaches to droughts, floods and typhoons in Myanmar, the Philippines, Thailand and Viet Nam in an effort to identify good practices and strengthen the resilience of the agricultural sector. 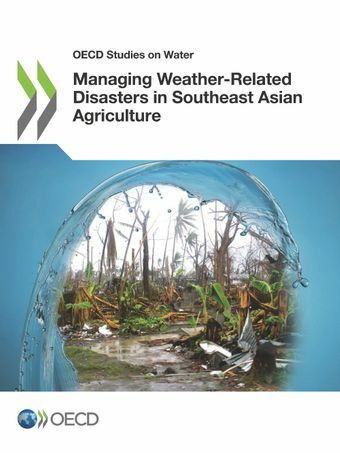 The study assesses the risk exposure of this sector to weather-related disasters and reviews risk management policies using an OECD policy framework on the mitigation of droughts and floods in agriculture as a benchmark.The analysis reveals several priority areas to strengthen the resilience of the agricultural sectors in these four Association of Southeast Asian Nations (ASEAN) countries, including: 1) improving the prevention and mitigation components of disaster risk management by aligning policy incentives and by integrating risk-reduction measures into infrastructure planning and extension systems; 2) implementing and enforcing water allocation and water use restriction instruments to steer farmers towards more efficient water use; 3) enhancing the co-ordination of government and partner institutions' activities to enable a more timely response to disasters; and 4) improving the timely distribution of inputs, equipment and social protection measures like disaster-linked cash transfers to strengthen the capacity of farmers to recover from disasters.